Decker, Jones, McMackin, McClane, Hall & Bates, P.C. 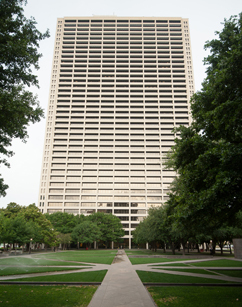 has added four attorneys giving the downtown Fort Worth firm 24 attorneys. Tim Malone and Frank Newman joined Decker Jones as Shareholders, Eric Camp joined as Of Counsel, and Sarah Powers joined as an Associate. Frank Newman: For nearly 33 years, Newman was the name partner in the Newman Law Firm. He is Board Certified in Residential and Commercial Real Estate Law by the Texas Board of Legal Specialization and his areas of practice include Residential and Commercial Construction, Real Estate, General Civil Litigation, Creditor’s Rights, Business/Corporate Transactions, Estate and Probate, and Mediation. He is a frequent speaker on Mechanic’s Lien Law. Newman received his B.A. in Political Science from the University of California-Riverside and his J.D. from The University of Texas School of Law. Previously, he was President of the Fort Worth/Tarrant County Young Lawyers Association, Director of the Tarrant County Bar Association, and Chairman of the Real Estate Section of the Tarrant County Bar Association. Tim Malone: Malone has been practicing in Fort Worth since 1980 and has experience in nearly all areas of oil and gas exploration and production, including Mineral Title Examination and negotiating and drafting Transactional Documents. He also has experience as a mediator and served as the Municipal Judge for the City of Watauga from 1992 -1998. He received his B.A. from SMU and his J.D. from The University of Texas School of Law. Malone is a member of the Tarrant County Bar Association, Texas Bar Foundation, and the Fort Worth Association of Professional Landmen. He also is an instructor on various oil and gas law topics for the TCU Landman Certificate Program. Eric Camp: Camp is licensed in Texas and North Dakota. He maintains a diverse oil and gas and real estate practice handling Transactions, Litigation, Regulatory Matters, and Title Examinations. Sarah Powers: Powers is licensed in Texas, North Dakota, and Oklahoma. She focuses her practice in the areas of Oil & Gas Law, Water Law, Commercial Litigation, Bankruptcy, and General Business Transactions. Her diverse oil and gas and water law practice includes representing service companies, operators, mineral owners, and surface owners in transactional, permitting, and regulatory matters. In her corporate practice, Powers provides ongoing general business advice and counseling, prepares organizational and corporate documents, and provides legal services in contract drafting, negotiation, and review. She also has experience in multiple mergers and acquisitions for corporate clients. Before practicing law, Powers worked as a Congressional Liaison Assistant for the Department of Homeland Security, U.S. Citizenship and Immigration Services, in Washington, D.C.
She received her B.A. in English from Westminster College in Missouri and her J.D. from the University of Tulsa Law School. Powers is a member of the Texas Bar Association, Tarrant County Bar Association, Tarrant County Young Lawyers Association, Oklahoma Bar Association and North Dakota Bar Association.